1. Pick a Brick. You will need to find a jenga game – or even better would be a giant jenga game. Label some of the bricks with numbers of points. Ask each of your contestants a question and if they get it right then they can pick a brick. They can only pick from 3 rows below the top or lower. They must not knock over the tower or they have lost the game. The picking of bricks continues until you have exhausted your questions. The winner is the player that has the most amount of bricks at the end. 2. Lego Precision. One member of the team makes a lego model. The rest of the team must listen to instructions on how to build it (without seeing it themselves). The first team to complete the exact same model is the winning team. If this is too difficult teams can send one member of the team to look at the model before returning to help the rest of their team. 3. Junk Model Challenge. Can the teams transform a pile of junk into a bridge that can hold a number of shoes (or smaller items if you prefer)? Give each team the same amount and items of junk; old cereal boxes, egg cartons and kitchen rolls etc. they will also need tape and scissors. Give the teams 5 minutes and then test the bridges between two chairs to see whose bridge is the strongest. The winning team is the team with the strongest bridge. Read the passage John 19:16-37 or Luke 23:26-43 about how Jesus was sentenced and died on the cross. VIDEOS: Jesus on the Cross. Jesus in Nailed to the Cross. A Narrated animation based on the passage in Luke. Jesus Dies on the Cross. Computer animated narrated version. Jesus Christ: Anime of His Last Day. You could use the full version, or just a part. You will need the Wreck it Ralph sacrifice video and to know the 4 points created by the4points.com/uk/ You can find visuals such as wristbands and tshirts to work alongside your teaching. 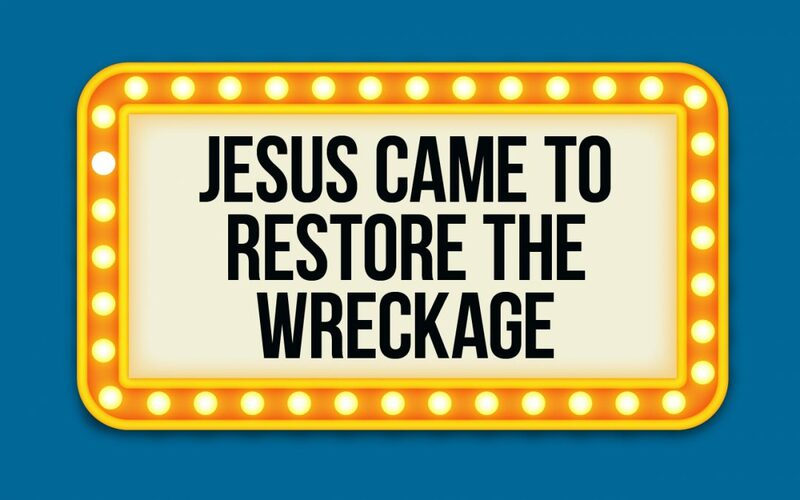 We have been talking these last few sessions about how the story in Wreck it Ralph is a little bit similar to the Story of the whole Bible. Last time we explained that Ralph is a little bit similar to Jesus in some ways. Even though they are very different in others! Ralph was confident about who he was, what his purpose was and what he needed to do. We said that Jesus was like this too, because Jesus knew he was God’s son and he knew that he came for a very special purpose! Jesus really did understand his IDENTITY! Now this week we are looking at a really significant part of the movie…and an EVEN MORE SIGNIFICANT PART OF THE BIBLE!… Check this Wreck it Ralph video out! (Play Wreck it sacrifice video) Man, for those who haven’t seen the movie, the Sugar Rush World was about to be taken over. Deadly creatures were about to ruin the world forever, and Vanellope was about to be destroyed because she couldn’t leave the World. Ralph loved Vanellope… he didn’t want to lose her so he decided to save the day! He went to solve the World’s problems… but Turbo tried to stop him! Eventually Ralph realized that the only way he could save the World… was if he gave his life. So he broke free from Turbo and gave his life to save the World. He fell to what he thought would be his death! 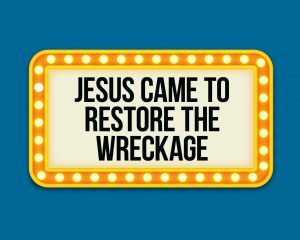 Once again the story of Wreck it Ralph reminds us a little bit of the Bible. You see again Ralph acts a little bit like Jesus did. Jesus loved the world so much. He cared for the people and mess it was in because of sin! Sin was ruining the world and the people in it! People had no hope and no future! But the Bible tells us, that the only way for their to be forgiveness of sin…is by the shedding of blood! (Hebrews 9:22) Basically it meant someone needed to die to take the sins of the people, Jesus had to give his life to save the world! The Bible tells us that Jesus died on the cross to save the world…unlike Ralph…Jesus actually died! He needed to sacrifice his life, so that our ‘wrong actions’ wouldn’t stop us from having a relationship with God. In Jesus’ death and resurrection…(because although Jesus died he came back to life from death)…we can have a relationship with God. That means that Jesus’ sacrifice restored man’s relationship with God, his purpose and even his identity! 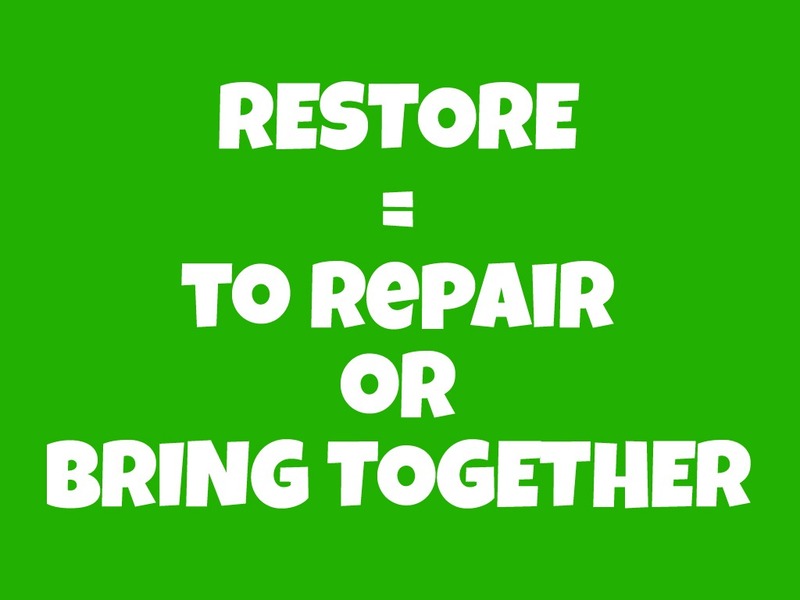 That word RESTORED means to repair or bring it back together. When we accept Christ we are made right before God… and we begin to REFLECT HIS IMAGE more and more as our relationship with him grows! 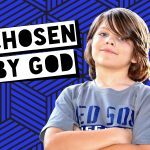 Our relationship with God and our identity are restored! 4. 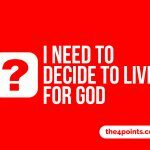 I have to decide to live for God. If you choose to give God your life, YOU WILL NEVER REGRET IT! 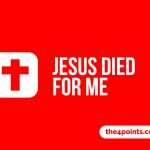 Jesus died for you, the work of forgiveness has been done. But unless you admit your wrong doings, believe in jesus and commit to living for God…you will not benefit from Jesus’ death and resurrection. If you believe in Jesus and haven’t asked Jesus into your life and would like to please raise your hand. Jesus, Thank You that you came to restore my relationship with You and my identity in You. Thank You that You repair and bring everything back together, thank You that You make all things new! Help me to live in a way that helps others to feel restored too! Connection Question: What is your favorite game/toy? 1. 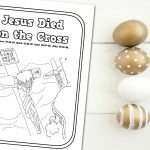 What did Jesus’ death mean for people? 2. Has you ever asked Jesus into your life? How did it change you? 3. How does what Jesus did relate to Adam and Eve? 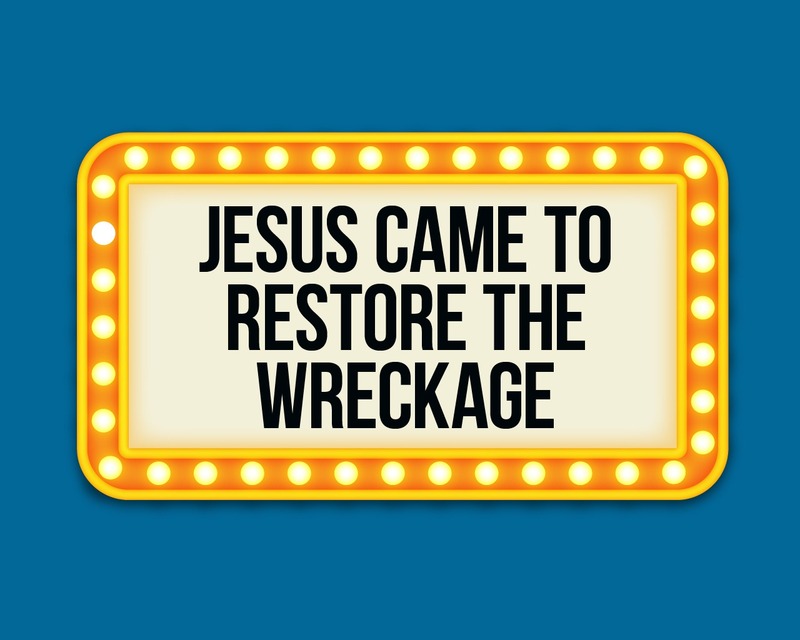 What did/has Jesus need/ed to restore (forgive and make right) in me? If you have time, discuss their answers. Remind the children that there is nothing too badly broken that God cannot restore. He can restore anything and anyone! You will need some building bricks to distribute or have a pile placed in the middle of each small group. What do you want God to restore in you? What needs fixing, rebuilding or bringing back together in you? Spend a few minutes praying for the children, or giving them space to pray about their own situation. As they pray they can build with the blocks, or you can simply use the blocks as a visual aid – whichever you feel would work best for your group.